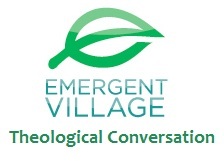 Next week we begin our cross-pollination activities to make people aware of the amazing opportunity to be a part of the 2012 Emergent Theological Conversation that will be held in Claremont, CA from January 31 – February 2. We will be posting guest blogs around the internet as well as responding to questions here. until then, you can post your questions or thoughts here. Thanks for helping us get ready for this. The comments and conversations have been wonderful.